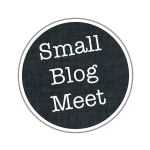 Lynne over at Lily's Quilts is hosting a Small Blog Meet! 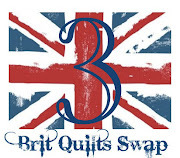 Since my blog certainly fits in that category (under 50 followers) I thought I'd sign up. This is probably a good chance to tell a bit about myself. I'm in my 40's, married to Brioni (Flossyblossy) and we have a lovely little boy who'll be 3 soon. I'm an ex-American and have lived in the UK for just over 10 years now. Bri and I met online when I still lived in Chicago and she's given me the happiest 10 years of my life. One of our first "in person" dates in Chicago! I love to travel! I've been to 12 different countries since moving to the UK. I'm also a science fiction geek and read nothing else. I'm into motorsports and Lotus cars. Musically I dig rock, metal, punk... anything with guitars pretty much. I do have a small soft spot for pop and folk too though. My iPod playlists are pretty eclectic! Some of the places I've been! I am a new quilter. Living with Bri it's been very hard not to get sucked into her world of quilts and fabric. I'm a creative person and have a Bachelors of Fine Art from the School of the Art Institute of Chicago. I started out on my path to quilting by designing patterns on CAD programs at work in my spare time. It was seeing the fun everyone had at the Fat Quarterly Retreat that spurred me on to try sewing myself. That's my mini-bio! Now I'm off to check out the other Small Blogs. See you soon! Btw, love the Geese Posse. Too right Lizzie, and thanks! Sort of tradition now Lynne. Back in college four of us had a house that we had parties at. Houses were always named, usually with their address. We wanted to keep the parties semi-private so the place didn't get trashed so we needed some other name. Talking with our elderly neighbours we found out the house had burned four times in the past. Being "alternative" and "gothic" and having read Dante, we named the house "The Inferno". I made party flyers every few weeks, and sometimes spelled the name different just to be silly, hence "Enfurnoh". After getting out of school I used the name "Inferno Productions" for my artwork. Going online and needing an email address and other things I found "inferno" was usually taken so started using the other spelling. Now, it's just habit more than anything. I've only started being "Curly Boy" because that's what Bri calls me. So why'd you leave the US and what countries have you visited? I left the US because at the time me moving to the UK made much more sense than Bri moving to Chicago. Among other things, I had been laid off (made redundant for you Brits) and rented while Bri had a good job and owned a house. I've been to Athens, Greece and Doha in UAE for work. 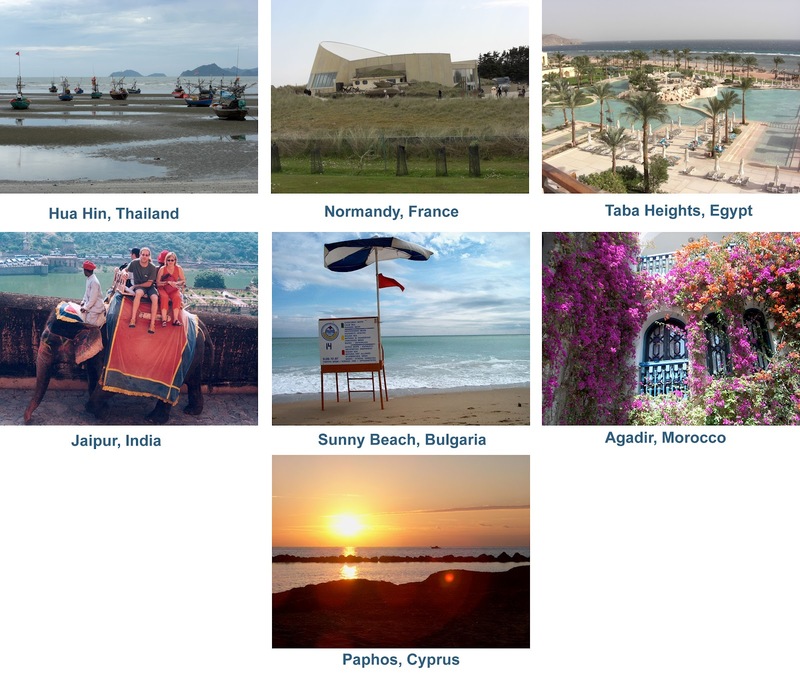 I've had holidays in Thailand, Sri Lanka, India, Spain, France, Morocco, Egypt, Bulgaria, and traveled through Dubai. I guess I counted the UK in my 12! Found your blog at Lily's Quilts! I'm also an American ex-pat (in Tokyo) and a new-ish blogger. I like the definitions you add to the top of your posts:). Tokyo?! Wow, that's a long way from home, depending what part of the US you are from anyway. I'm sure your culture shock was much more severe than mine! Thanks! I hadn't planned on starting every post with a definition but I think I'll keep it up. Awesome intro...makes me wish I'd been clever enough to post one of my own! Love the stash-sharing benefits. Keep rockin' on! Thanks! I only did the intro because I didn't read Lily's post correctly. I guess I should have put up what I worked on last month. At least someone liked the intro! I'd like to share my experience with www.globorgirls.com. It's actually more of a social network thing for people who would like to meet travel mates from different countries. The good thing about it is that it's totally secure because they have the feature of video chatting with these girls so you'll not share your personal contacts unless you're 100% sure. You'll also find pretty good tips on how to stay safe online and also some traveling tips. All in all, it was a very good experience.